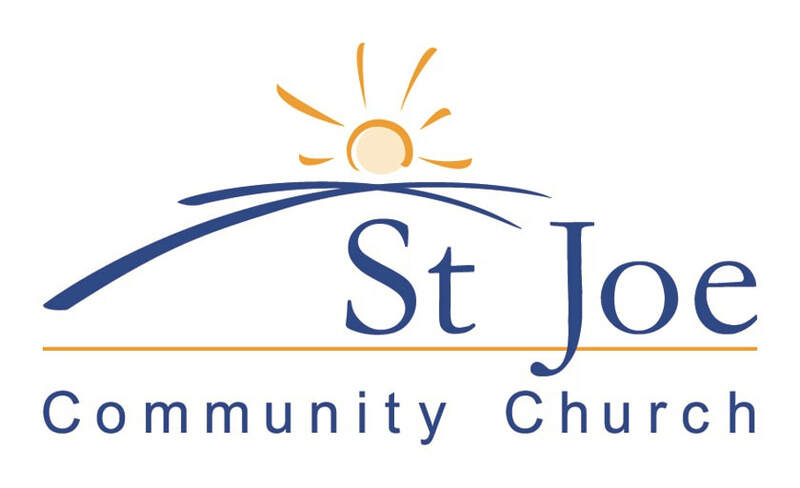 St Joe Community Church is pleased to partner with leading Christian ministers, churches and organizations to help advance the gospel in our community. St Joe is grateful to pastor Rick Warren at Saddleback Community Church for the The Purpose Driven Life Health Assessment. 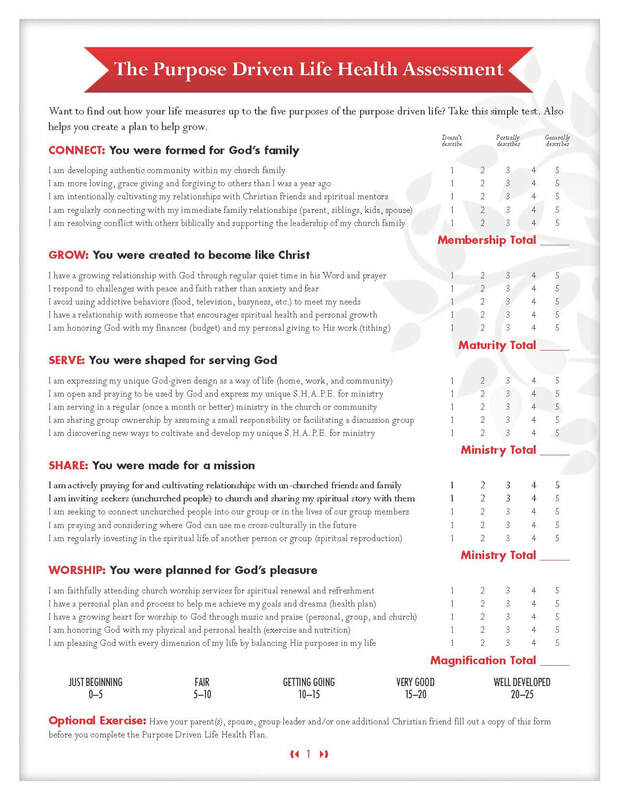 Please click on the graphic in order to download a PDF copy of this assessment. In doing so, please respect the ownership of this material by not altering it in anyway. Click here to download the 2018 Voter Guide in PDF format. ​St Joe Community Church appreciates the work of organizations like Advance America, who help represent the interests and concerns of families and children in the public arena, especially before local, state and national government institutions. One of AA's helpful resources is its annual voter guide that helps voters understand contemporary issues and the diversity of opinions held by elected officials and candidates. The Five Languages of Apology offers practical steps to get beyond the violation of trust in a marriage. Dr. Gary Chapman is best known for his book, The Five Love Languages, which has helped multitudes of marriages to grow their love and commitment. From the publisher: "Just as you have a different love language, you also hear and express the words and gestures of apology in a different language. New York Times best-selling author Gary Chapman teamed with counselor Jennifer Thomas on this groundbreaking study of the way we apologize, discovering that it's not just a matter of will--it's a matter of how. By helping people identify the languages of apology, this book clears the way toward healing and sustaining vital relationships. The authors detail proven techniques for giving and receiving effective apologies." From Pastor Byman: ​The Five Languages of Apology will give you practical steps to get beyond what you did to violate trust in your marriage. Dr. Gary Chapman is best known for his book, The Five Love Languages, which has helped multitudes of marriages to grow their love and commitment. From the publisher: Marriages may be made in heaven, but they must be nurtured here on earth. 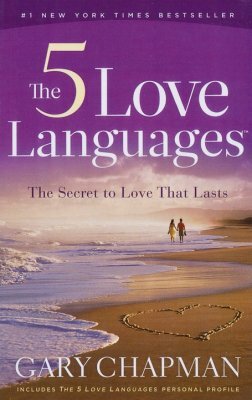 In this new paperback edition of Dr. Gary Chapman's bestselling book, The Five Love Languages, he explains how people communicate love in different ways, and shares the wonderful things that happen when men and women learn to speak each other's language. Chapters are categorized by love language and each one ends with simple steps to express a specific language to your spouse and guide your marriage in the right direction. Paperback. A Focus on the Family recommendation. Here is a list of books I have personally drawn from to develop an elephant-free home for my own family. They explain in greater detail some of the practical suggestions I mentioned in this Elephant-Free Family sermon series. Obviously, my favorite suggested resource is the Bible, which is perfect and timeless. These other books simply explain how to apply God's Word in today's language. God bless your journey towards a more holy and healthy life for yourself and future generations! Ed Moy - 38th Director of the US Mint from Centered on Vimeo. "Full time ministry is what you dedicate to the Lord in your work." Ed Moy is the 38th Director of the US Mint (2006-2011), television commentator, author, White House staffer, business executive, pastor, corporate director, and above all, a follower of Jesus. Through his story, Ed shares how service to the Lord is more than a Sunday event but an everyday working reality.